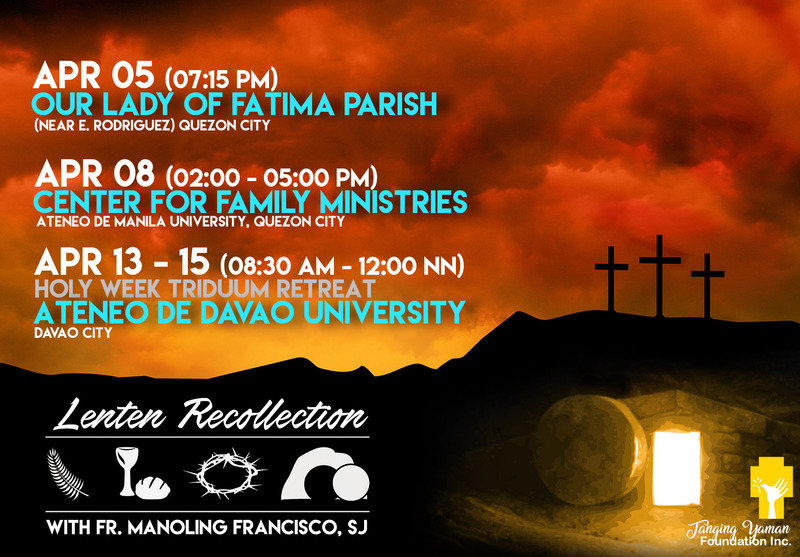 Lenten Recollections with Fr. 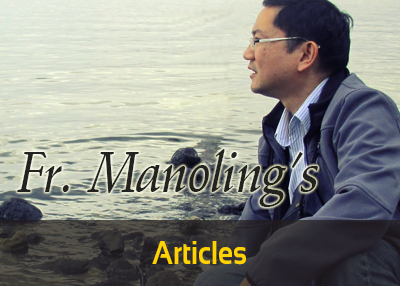 Manoling Francisco, SJ. 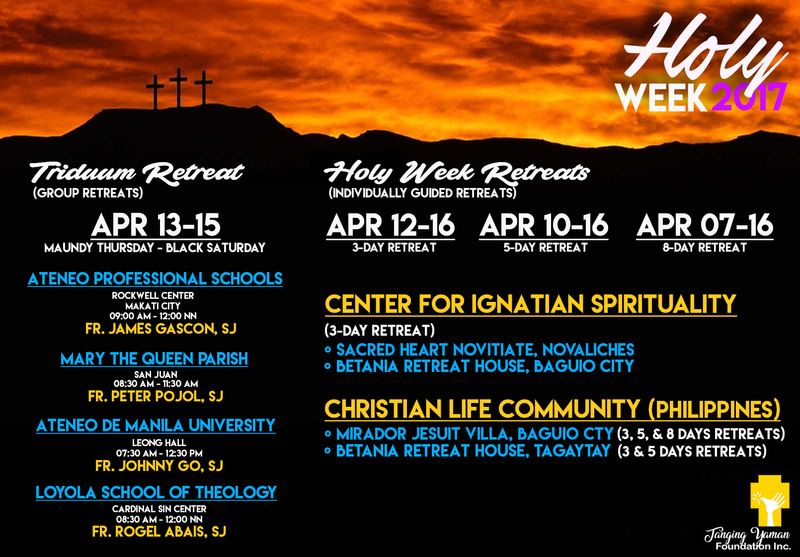 Looking for retreat this Holy Week? 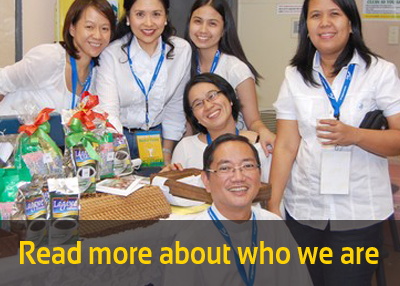 Tanging Yaman Foundation, Inc gathered some options for individually guided and group retreats for you. When the northern Israelites were exiled to Assyria, many of the remnants married pagans who occupied the now vacated lands. Their descendants were called Samaritans who were despised by the Jews because of their mixed blood and their diluted practice of Judaism.